The JSRS was initiated by the Oman Ministry of Oil & Gas and its O&G Operators. 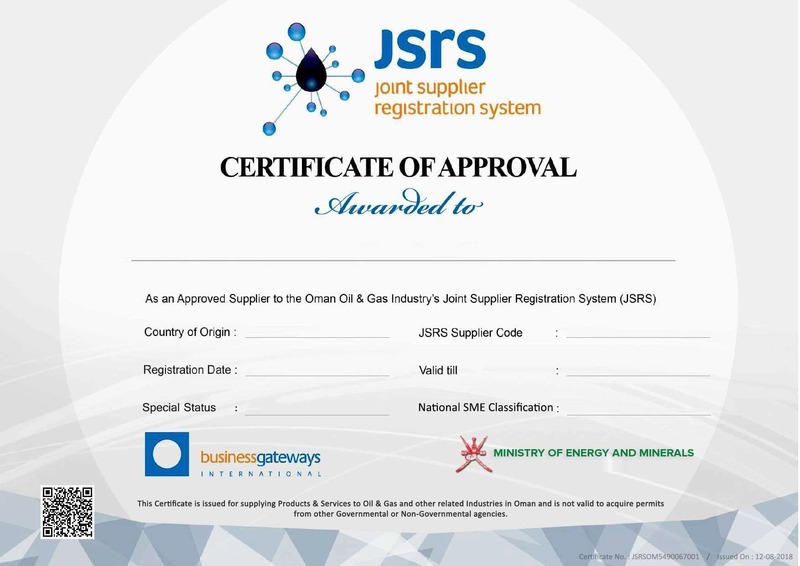 Since inception the Joint Supplier Registration System (JSRS) has attracted and certified thousands of suppliers from Oman and world over, thanks to its online certification mechanism integrating suppliers directly to the Oil & Gas Operators and Other Industry Buyers. JSRS Certified suppliers enjoy multiple benefits like receiving direct tenders and other business opportunities from JSRS Operators & JSRS Other Industry Buyers, staying connected to the procurement requirement of multiple industries, being seen as a credible business partner and more. 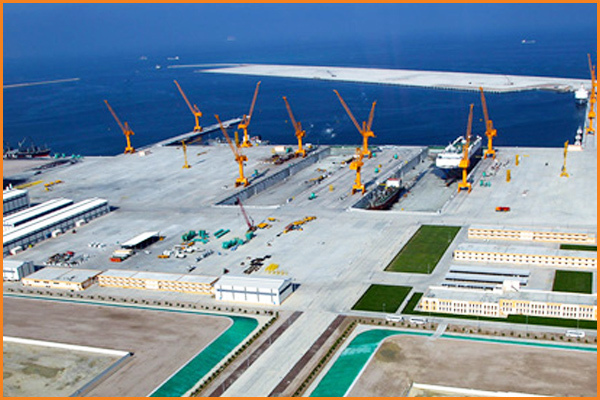 businessgateways is pleased to announce that Special Economic Zone Authority Duqm (SEZAD) has launched the SEZAD e-Certification system on JSRS. As part of SEZAD’s commitment to the SMEs, this initiative will certify SME RIYADA Cardholders through the JSRS validation process. SMEs holding RIYADA Cards can apply for SEZAD JSRS Validation. e-Certificate will be issued after successful validation. Validated SMEs will be listed on JSRS for SEZAD contractors to source for their procurements. This initiative will allow SEZAD and its contractors to engage with SEZAD Certified RIYADA SMEs for projects having SME obligations. For queries, kindly contact us and we shall be glad to assist you further. Petroleum Development Oman popularly known as PDO collaborated with JSRS on its Local Community Contractors (LCC) initiative. As an Omani company, you may be eligible to apply under the Special Status category of PDO – LCC if all the owners of your company are permanent residents (as per National ID) in any of the following Cities in Oman: Adam, Al Jazur, Bahla, Haima, Ibri, Muqshin, Shalim and the Hallaniyat Islands, Thumrayt. If your company meets the above criteria, you can apply for the Special Status of PDO – LCC. View the Mandate Letter from PDO. For further assistance, please contact the JSRS team. JSRS Oil & Gas Operator, Consolidated Contractors Energy Development, Oman (CCED) utilizes JSRS for its the Local Community Contractors (LCC) initiative, as part of their commitment to the companies from concession areas. Existing and new suppliers can apply for CCED LCC status on JSRS. CCED LCCs will be validated and listed on JSRS Biz Search. LCC Special Status is displayed on JSRS Certificate. For queries, kindly contact us and we shall be glad to assist you further.